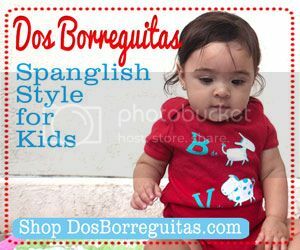 Now that my daughter is in a Spanish-language dual immersion program, I realize more than ever how important it is to have quality Spanish-language and bilingual materials and books in the school. We’re lucky that the parents and the Foundation in our school is very active and involved and our multi-lingual library is growing leaps and bounds. 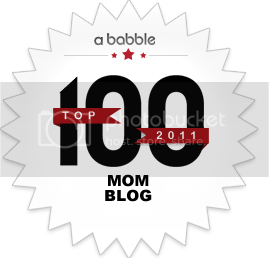 But, still, you can never have enough enriching in-language material for children and teachers. Vme Spanish-language television network and Santillana USA Publishing Company recognize this need and have just announced the kickoff of the 2nd annual “Libros Para Mi Escuelita” Book Contest. The nationwide contest encourages parents, students and teachers to create a video entry stating why their school is in need of Spanish and bilingual reading materials. Evaluated on their creativity, persuasiveness and presentation, entries will be voted upon by each school and its surrounding community. Families, friends and neighbors will have a chance to vote for their school every day from November 9th until November 25th. 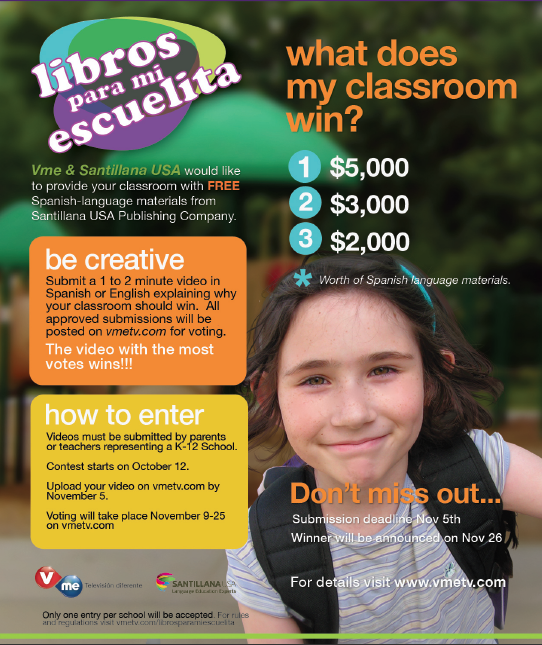 The three schools that have the highest number of votes will win a total of $10,000 worth of Spanish-language education materials from Santillana USA. 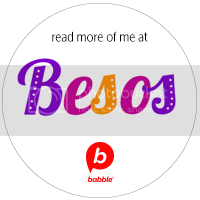 And if you haven’t yet, you should click over to Santillana’s Plaza Santillana for some great “resources for your Spanish classroom” or for teaching/enhancing the language at home. I’m particularly loving this article on how to throw a sugar skull making party for Day of the Dead! For full rules and regulations, visit “Libros para mi escuelita” on Vmetv.com, and while there check out their awesome Spanish-language and educational programming for kids! Pretty cool!! Thanks for sharing amiga, I think we might enter!